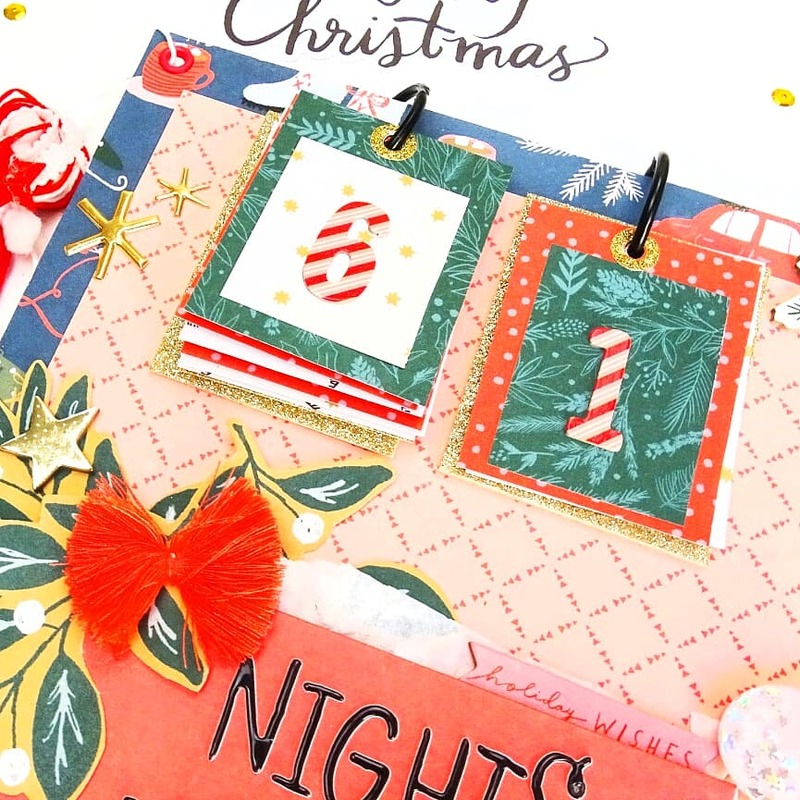 Hi friends, today, I'll show two new layouts representing Christmas Trees. So, yes, I have to admit it. I am in my Christmas Tree's mood. Every time of this year, I have to resist really hard to not put all my Christmas decorations already out! I am missing my Christmas Tree!!! But, thanks to papercrafting, the wait is less longuer. I can create all the trees I want, and here are the two latest I have made. Hope it will inspire you ! 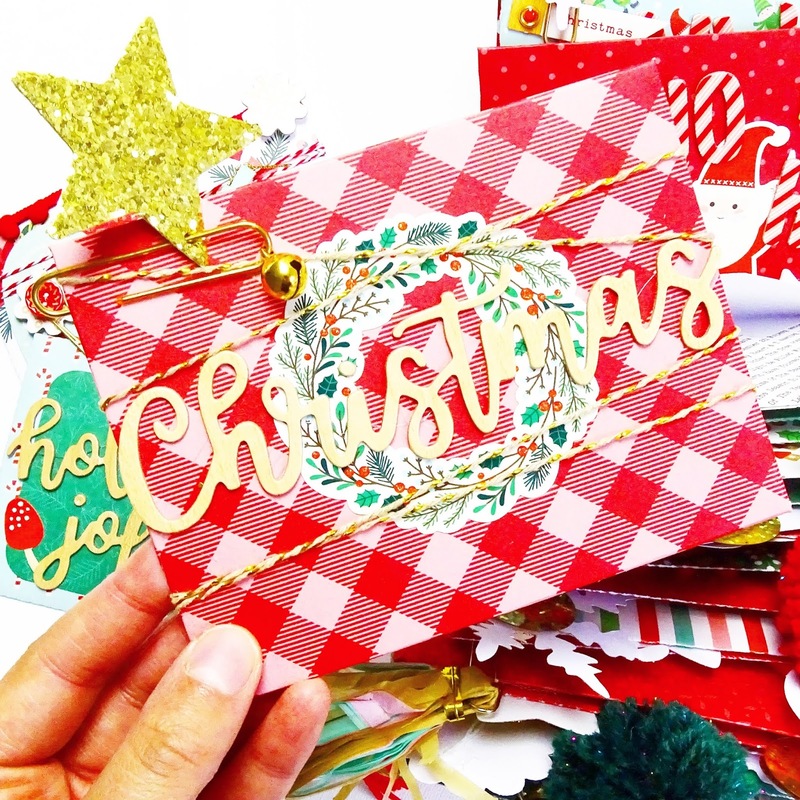 For those two layouts I used Crate Paper Christmas Collections: Falala & Merry Days. The first one is made with scalloped cutfiles from The Cut Shoppe. I just cutted them in different sizes and placed them to make the shape of a Christmas tree. 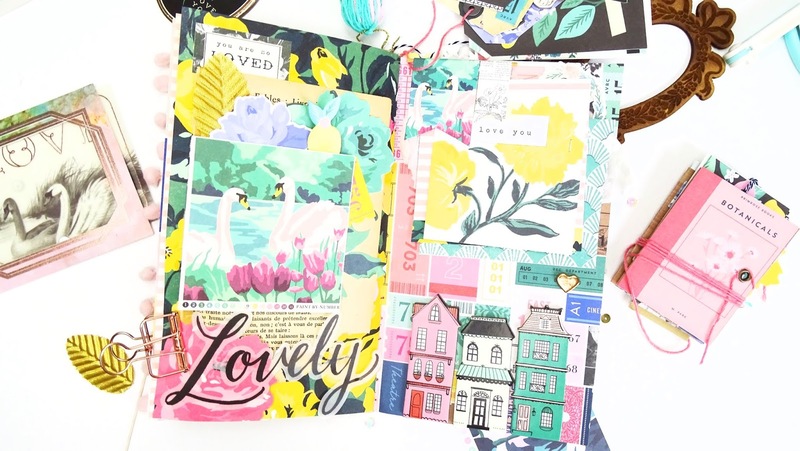 The second layout is made with washi tapes! It was so fun to do ! 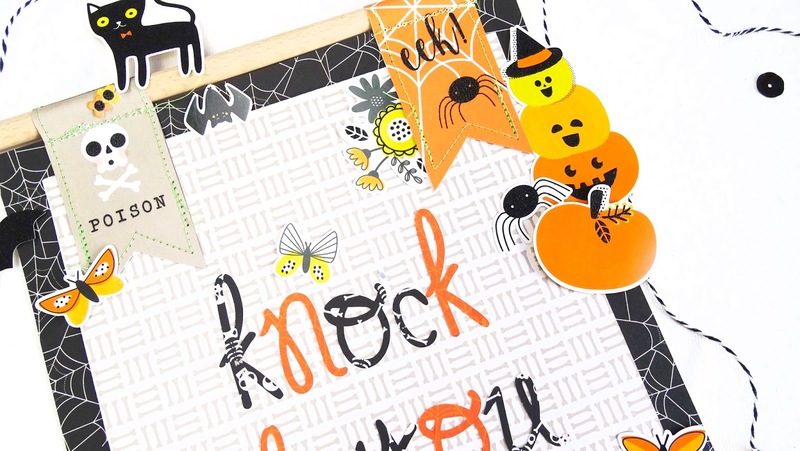 Today I'll show you a home decoration for halloween! 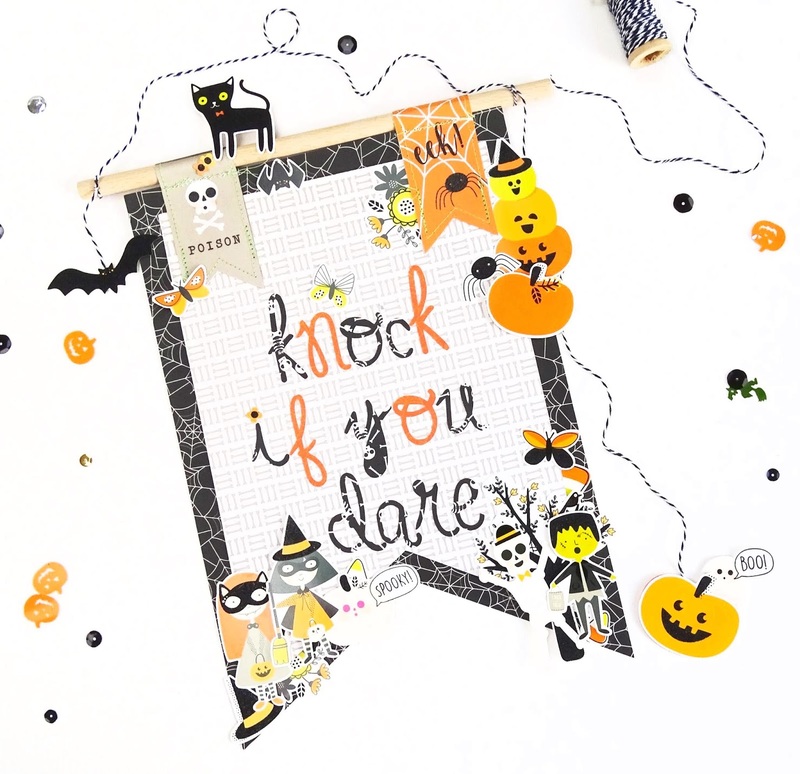 I had the idea to create a banner to hang at my door so little monster know they can find candy here… If they dare to Knock ! 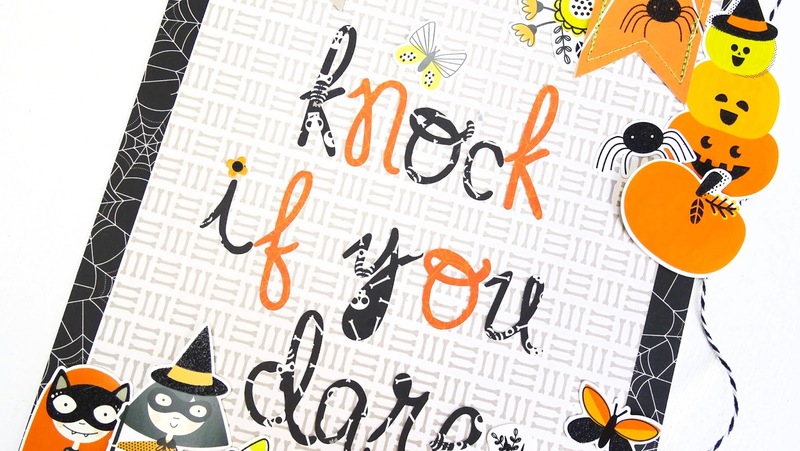 I created this banner with the collection Spooky Boo from Pebbles Inc. The alphas are from The Cut Shoppe and made with my silhouette Caméo. 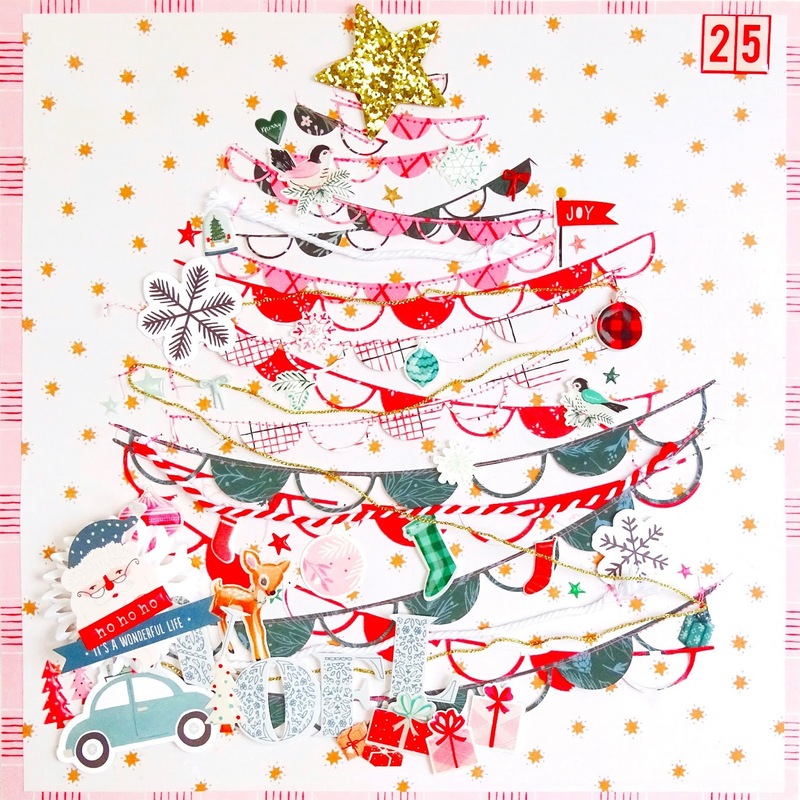 Hi friends, today I'll show you my third Advent Calendar ! For this one, I decided to make a box for each day of the calendar ! I made the boxes with my silhouette caméo. 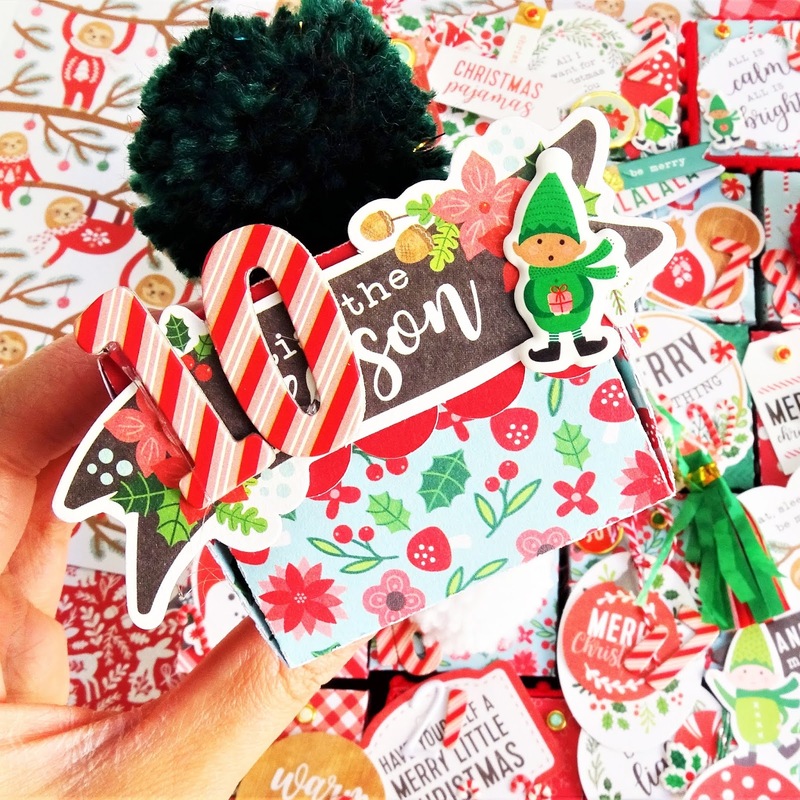 I choose the Chrismas collection from Pebbles Inc. "Cosy & Bright" to decorate the boxes. 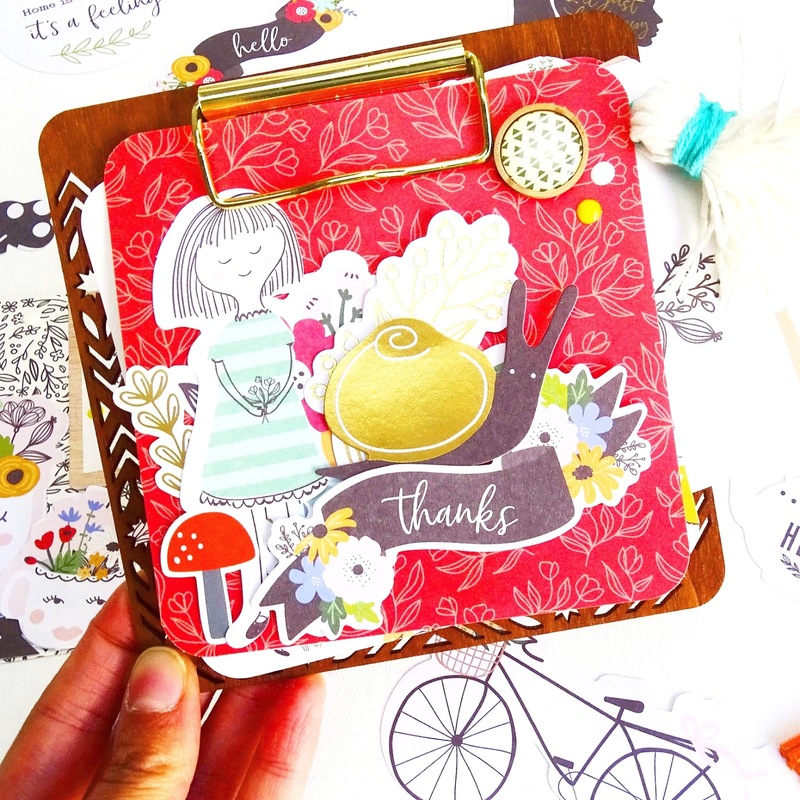 I love this collection with her traditionals colours and those cute little designs ! Now, all the boxes had been filled with crafty goodies and love! Hope my penpal will love her brand new advent calendar ! Hello friends, today I'll show my latest project : a new advent calendar. 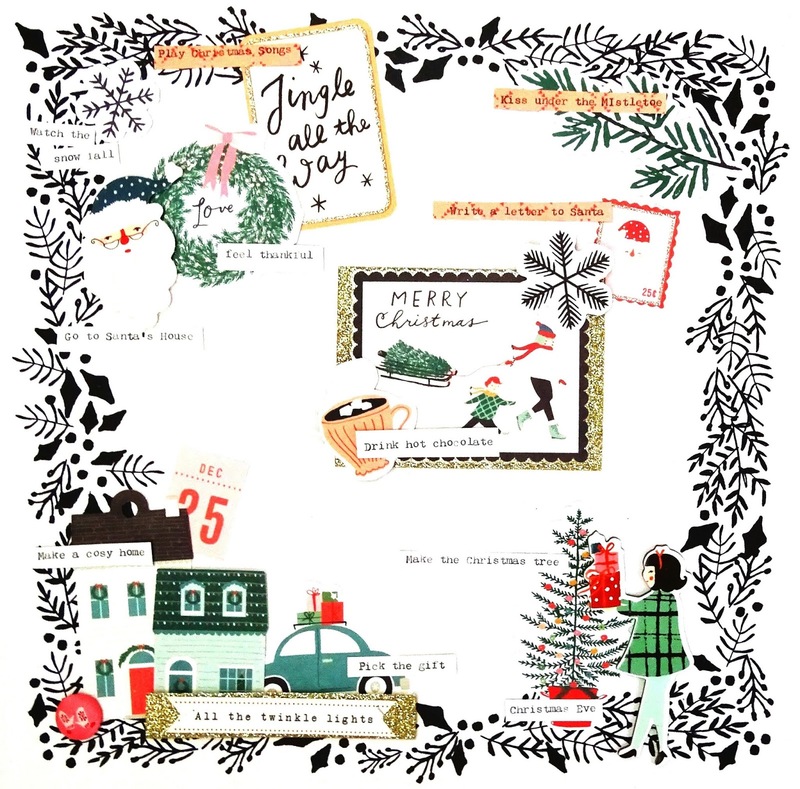 Yes, I just finished my second advent calendar, only one more to do and they will soon be joining their new homes! For this project, I used a cutfile from Bea Valint, that is available HERE. 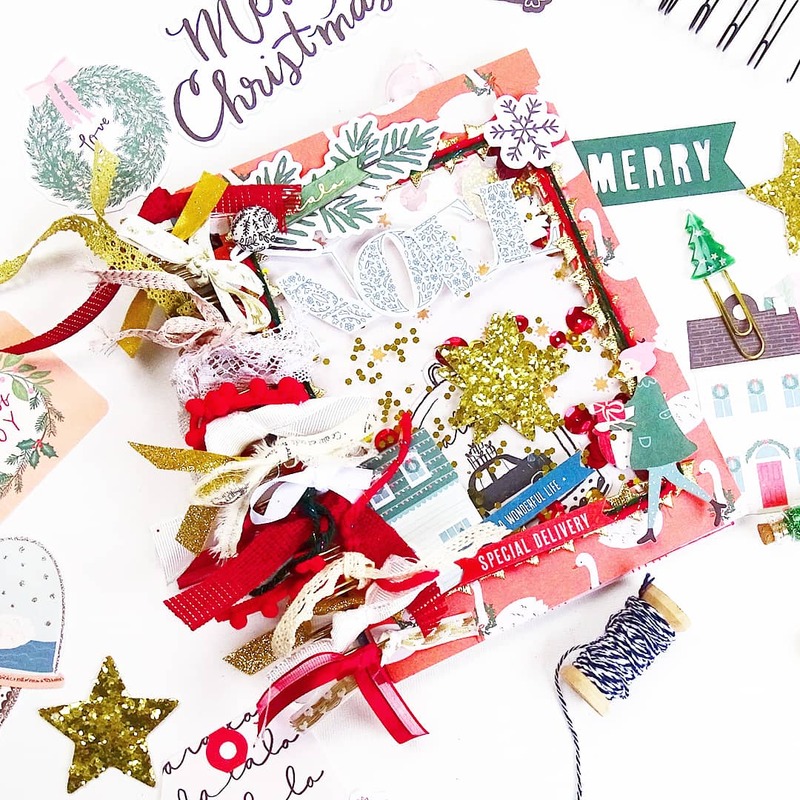 This cutfile is amazing, and you'll see a video process that explains very well how to do your advent calendar. For mine, I used a new collection from Lora Bailora called Baviera. This collection is very beautiful with soft colors, pastels pinks and a beautiful iced blue. I decorated my calendar with lots of ephemeras and stickers. 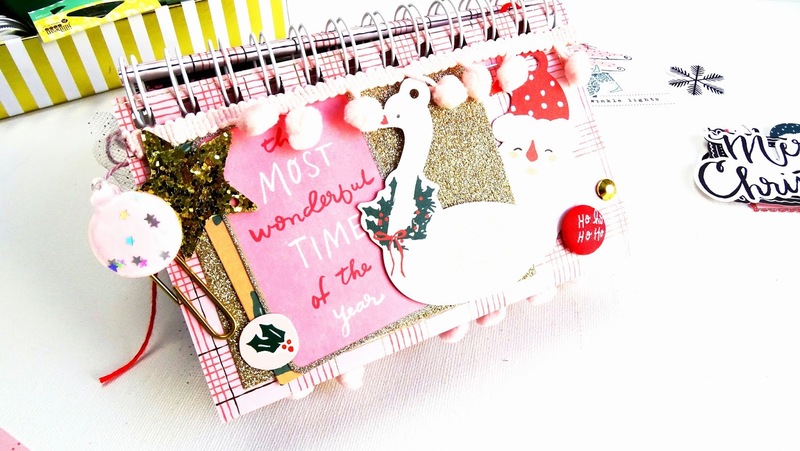 The calendar is full of scrapbooking supplies and goodies. I also placed a big bow made with my bow maker from We R Memory Keepers. 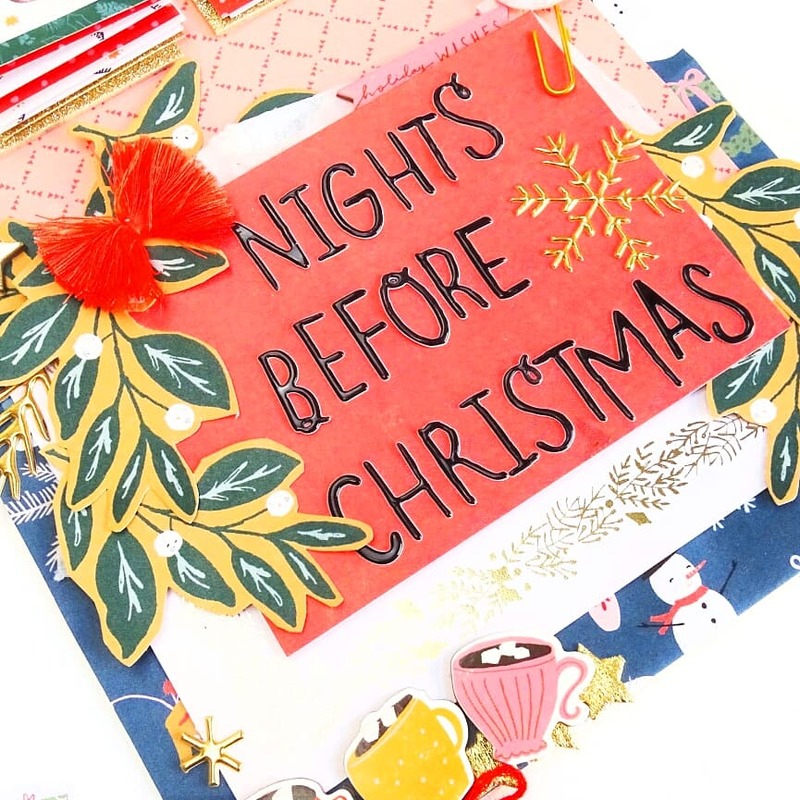 Hello friends, today I'll share with you the beginning of my Chistmas Common Place Book. 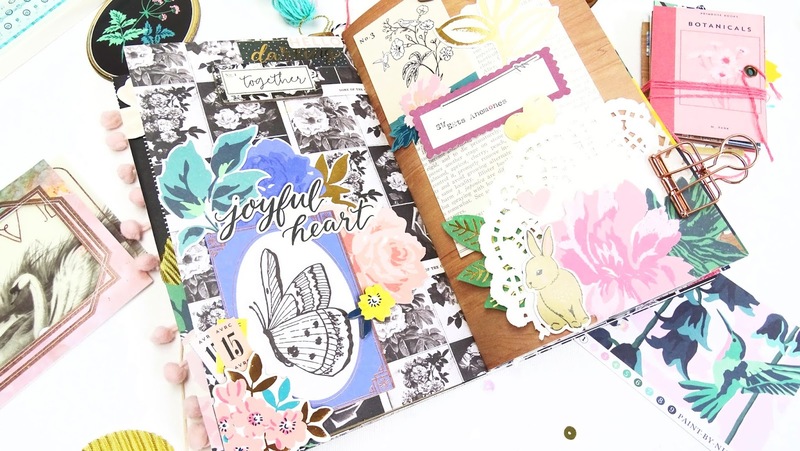 The first time I heard about a common place book was on The Reset Girl blog. A common place book is a book where you keep everything that defines you. 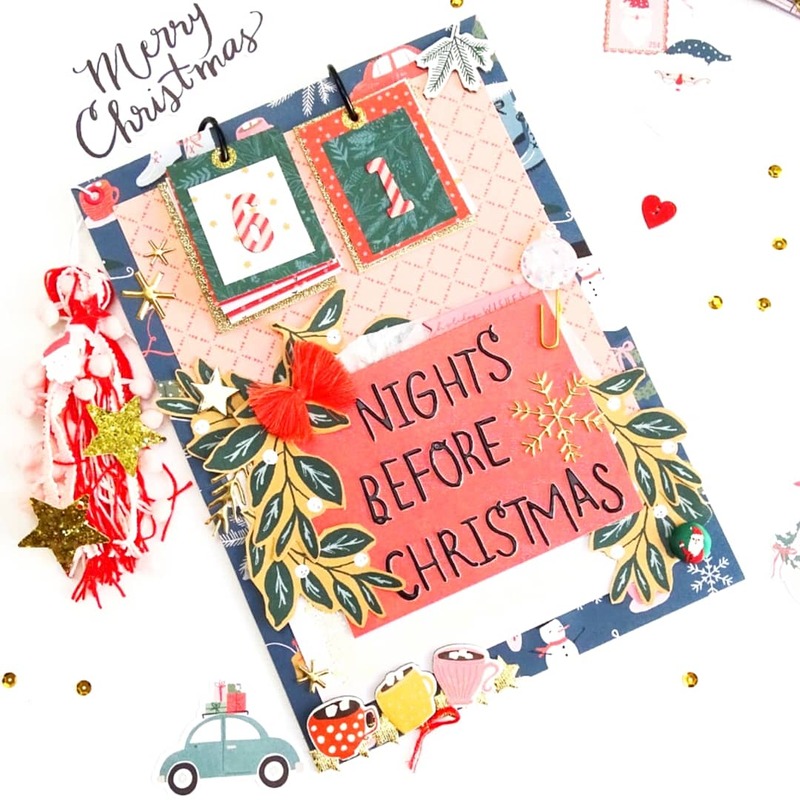 I had the idea to make a Christmas Common Place Book, as Christmas is a really important event for me and my family. I make it in the hope of giving this book to my children when I will be older, so they can keep our traditions and the spirit of Christmas that I cherish. For the moment, I only prepared my book and decorated the cover. I'll keep sharing with you the inside along november and december. For the cover, I used my Cinch from We R Memory Keepers and their new gold wires from the journal studio line. 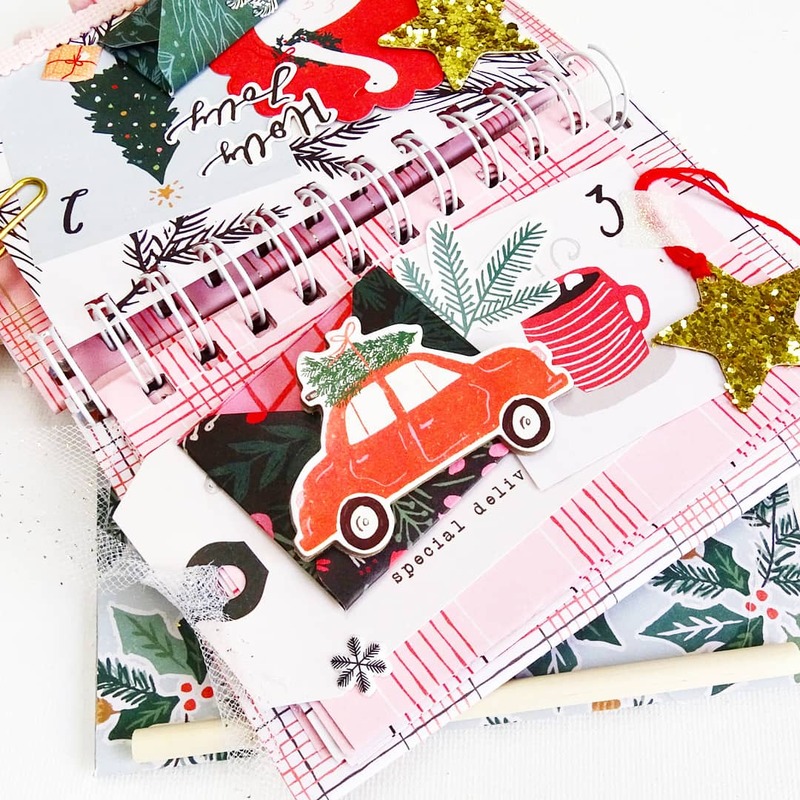 I also picked the Merry Days Collection from Crate Paper. I made a shaker cover and decorated it with lots of ephemeras, stickers. I also decorated my wire with lots of laces and twine. I love the effect !! Hi friends, today I'll show you my last snail mail, made with a clipboard. 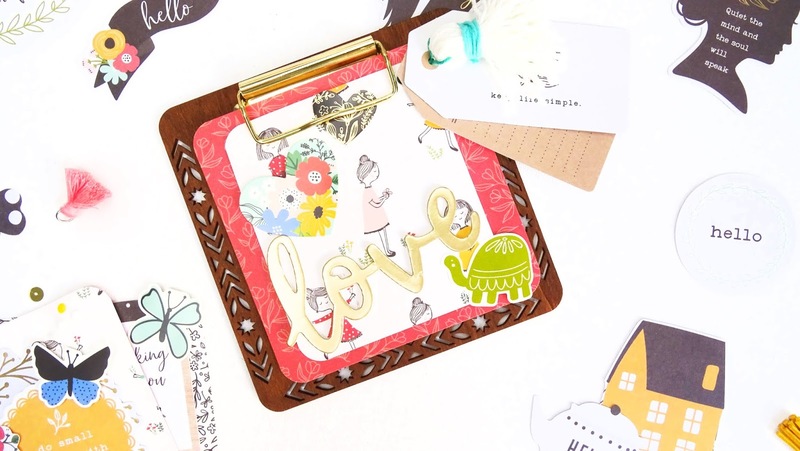 I'm always searching for new ideas for my snail mails, and I found inspiration around a clipboard. This mail is going to one of my penpals who cherish pink and girly stuff. So, the Dear Lizzy collection Stay Colorful was perfect for this ! 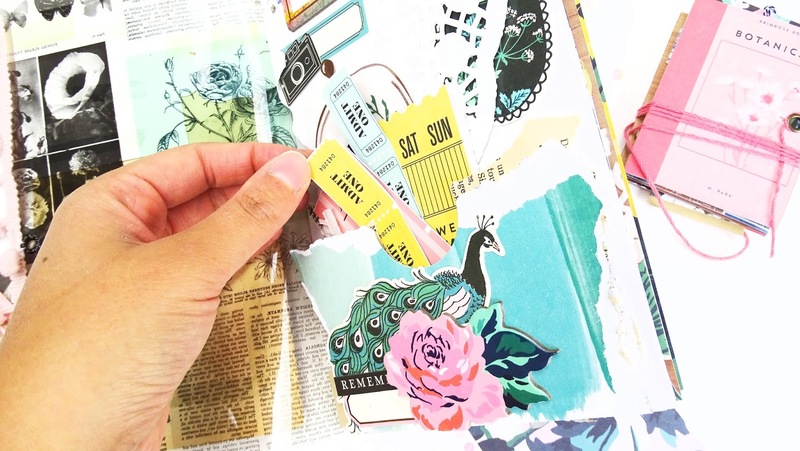 I had this little clipboard for a long time, found it so cute with all the pink and glittering, but had no idea about how to use it, until I found inspiration on Instagram! I made severals cards, in differents shapes : banner, tag, circles, squares, doilies… To add a lot of dimension this creation. I also placed lace, twine and enamel dots ! I always love to add many textures to a creation. 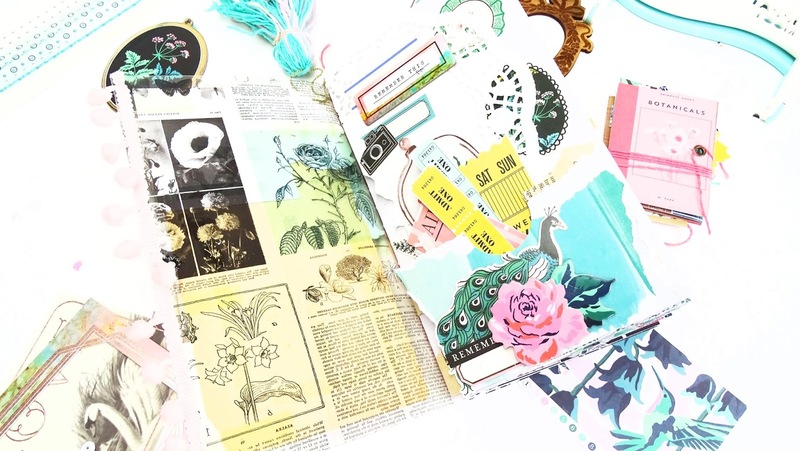 Have you heard about the new journal studio line from We R Memory Keepers / American Crafts? Well I did. Tried it. And fell in love with it! First of all, I really love the designs of this new line! It's so chic!! 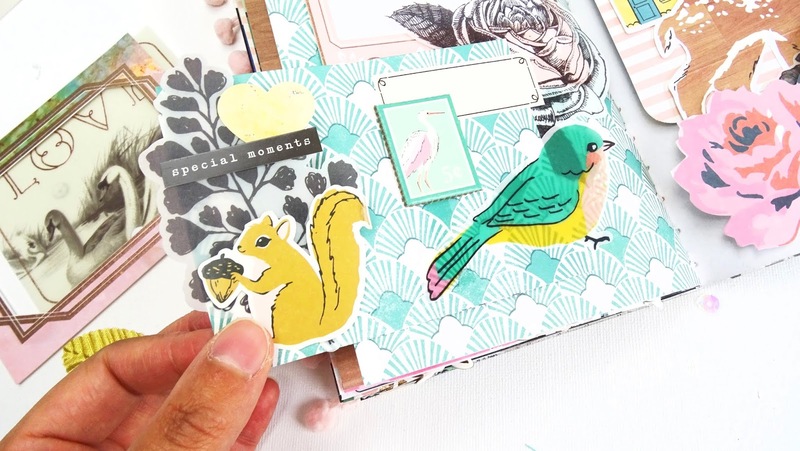 The journal studio is all about traveler's notebook wich I really love! I love this travel workspace, where you can keep everything you need, and where everything you need keeps in place. 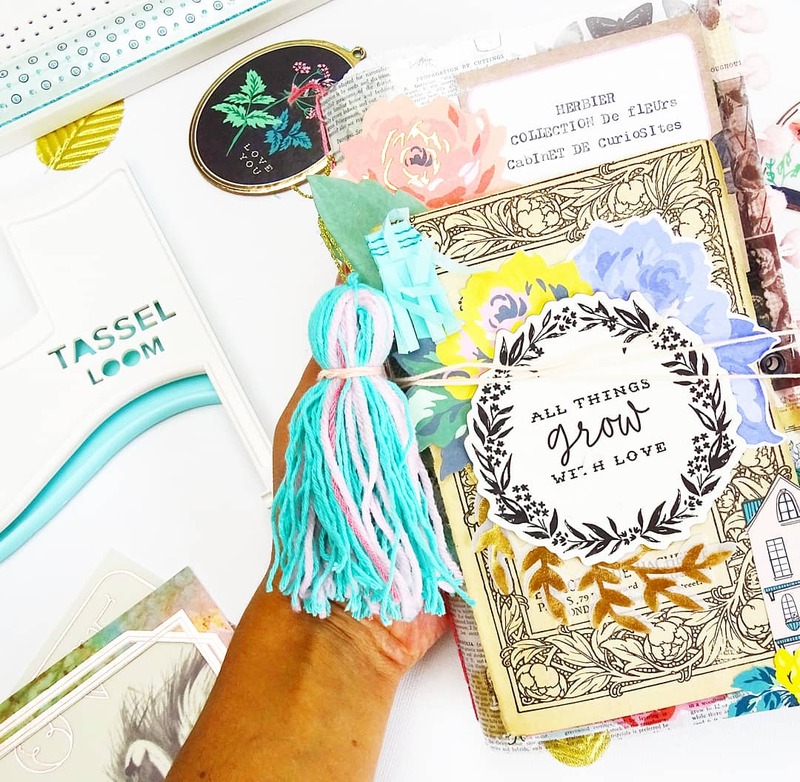 I love to make notebooks, so these are the perfect tools for me! I used the journal guide to make a few page in my Christmas NoteBook. The Magnetics Stencils were really fun to use, and bring easily a nice touch to your pages. The screen reflector is definitely my favorite tool from this line! It is so easy to makes doodles and handlettering with it ! I made a little tutorial for this on my Instagram : Victoriaandherplanners. 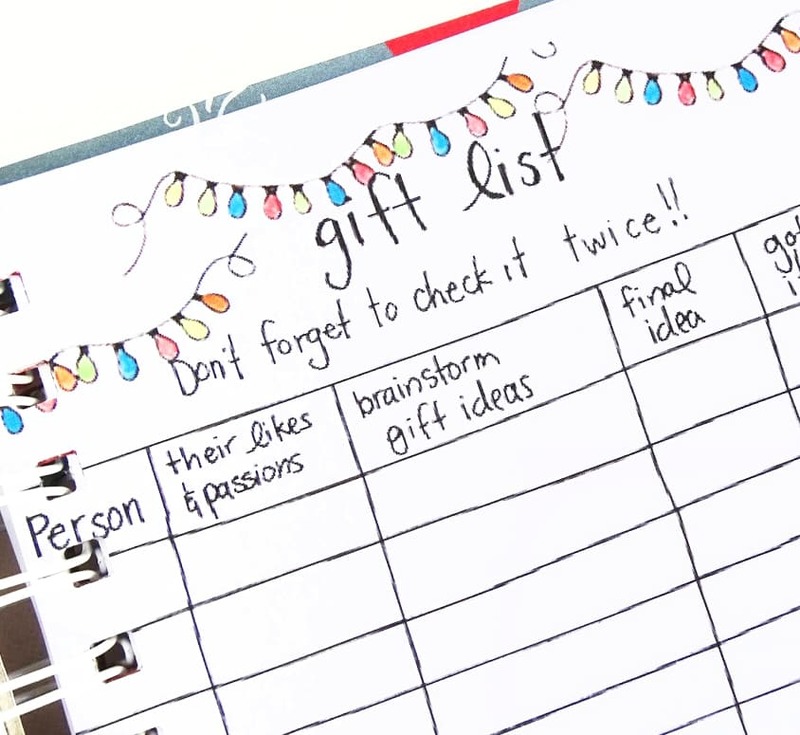 Today, I am happy to show you my December Bucket List, made in a layout. I love to prepare Christmas and I love dreaming about the best Christmas ever. To help making my wish come true, I love to do bucket lists. And I made one for December of course! Let's check it out ! 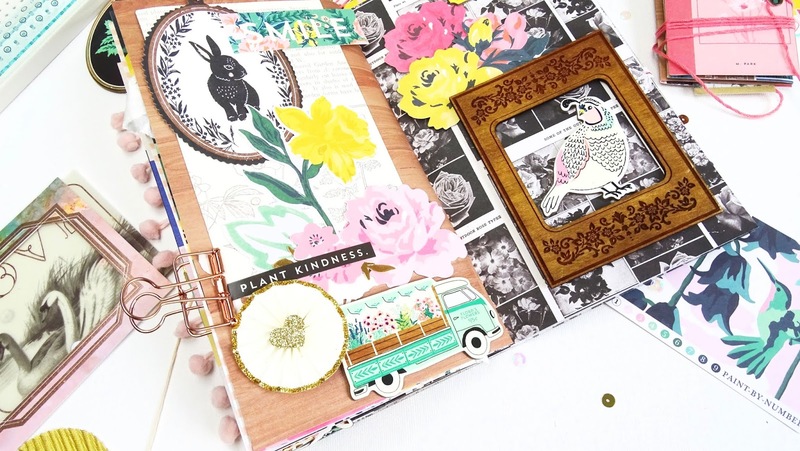 I decided to make my Bucket List as a scrapbooking layout. I thought it could be so funny ! 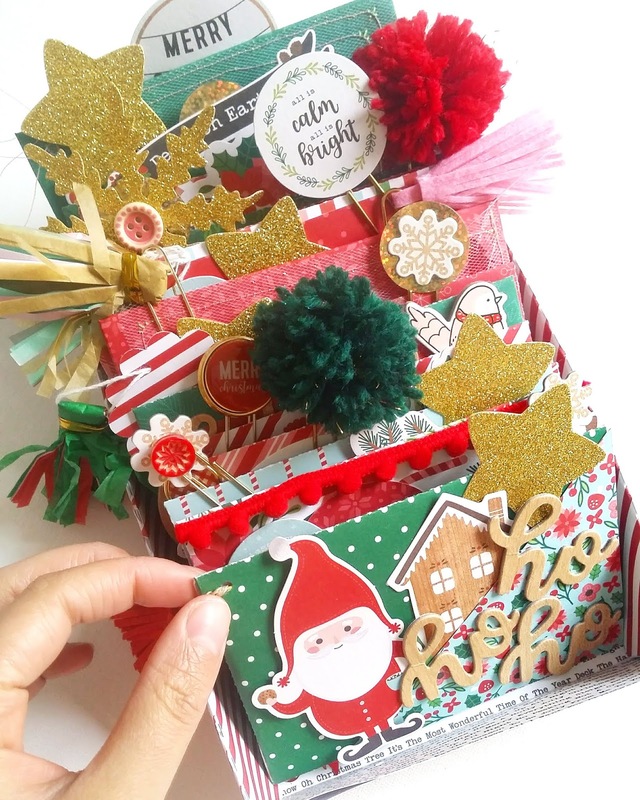 I used the Crate Paper Merry Days collection, wich turned to be perfect for this project. I found everything I needed to document each point on my list. 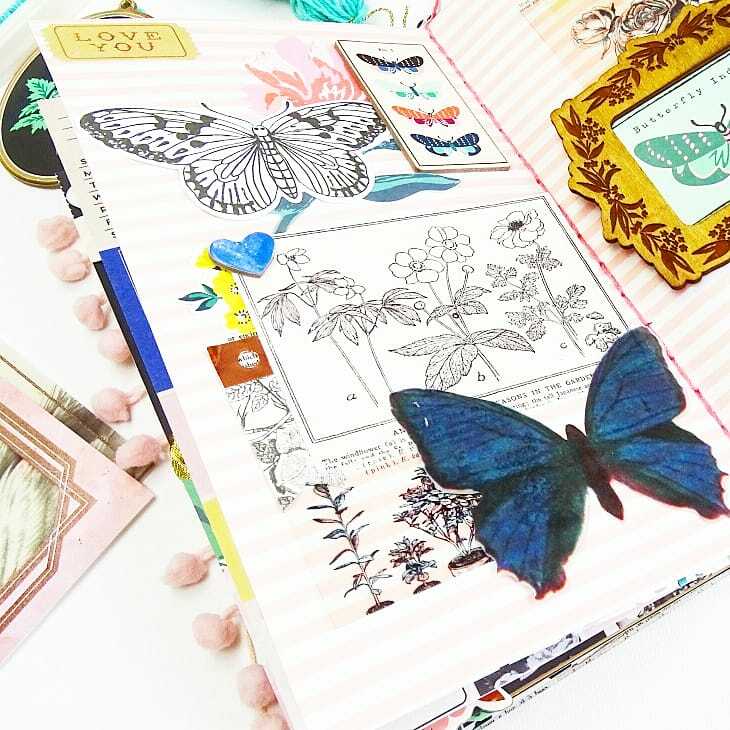 The ephemeras, stickers and chipboards were really perfect, and the cutest. 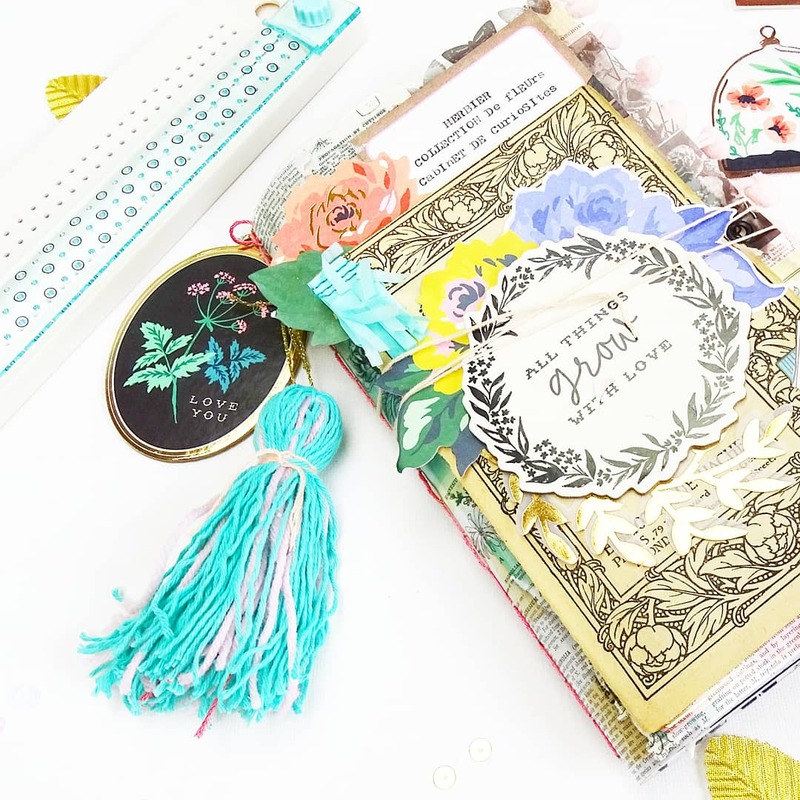 I also used my typecast from We R Memory Keepers to make my journaling. Brings such a funny touch. Hi my friends, today I am happy to show you the last greetings cards I've made. 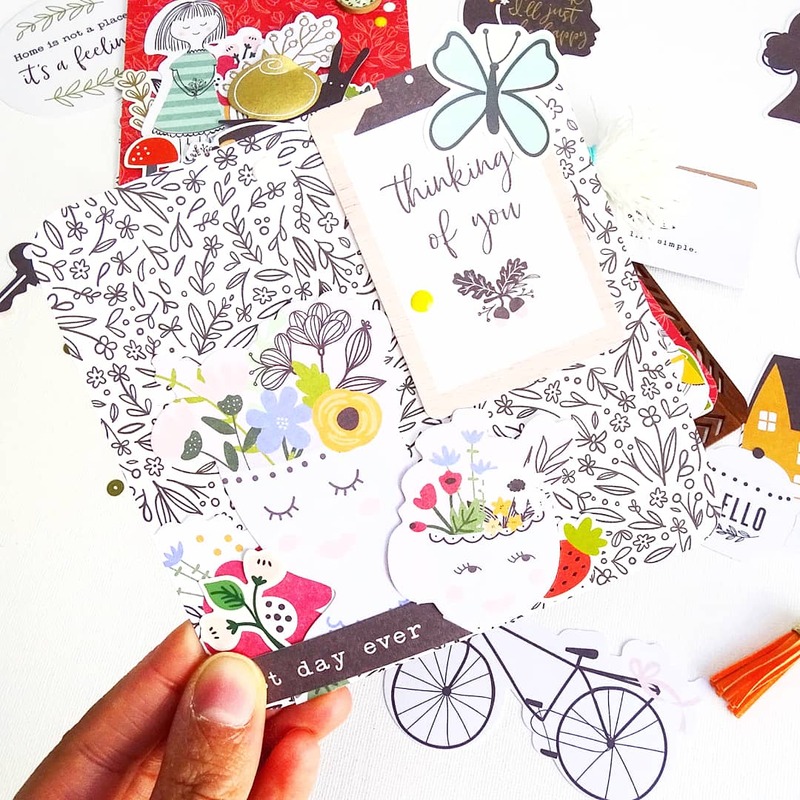 I love to send card to my family and friends, and I love to make them by myself. 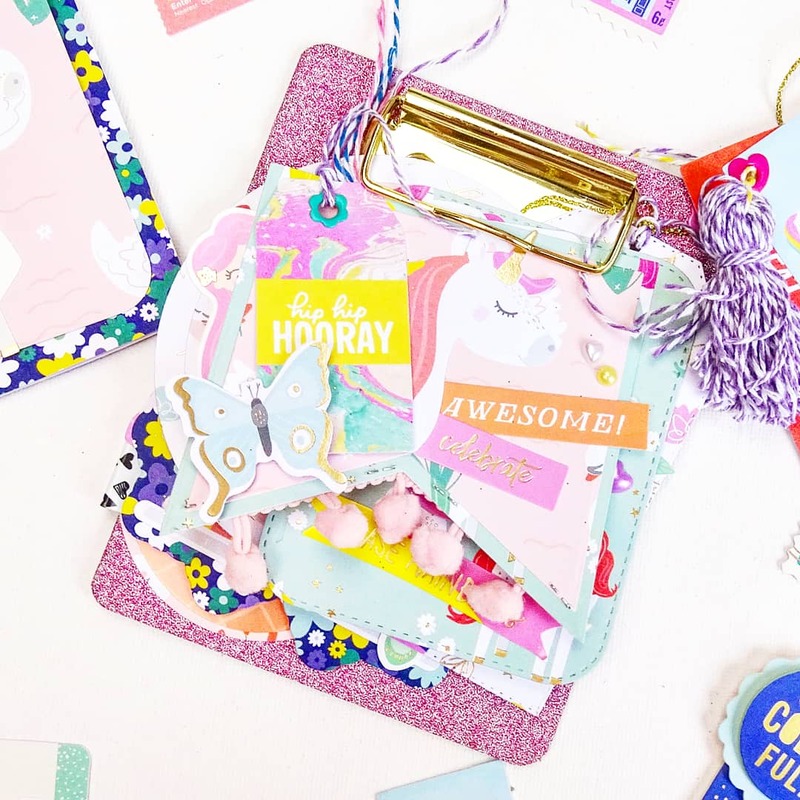 Pebbles has always the best collections to make greetings cards. The ephemeras are really perfect, always having the cutest designs and perfect words to share sentiments. 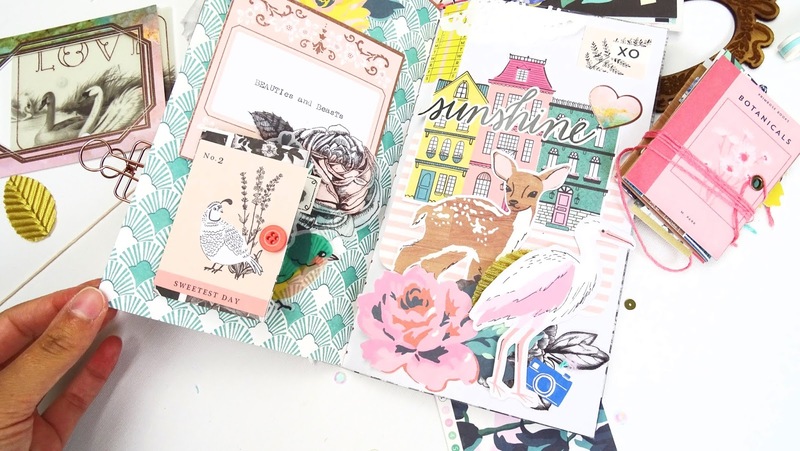 Along the way is a really cute collection, very romantic & girly. I had a big crush on the little girls and the lashes mugs. 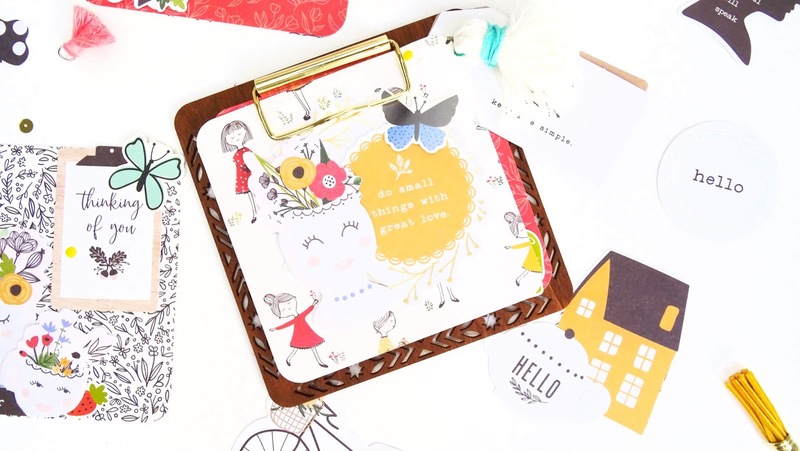 I placed my cards on this little wooden clipboard I found in a french shop. Like that, and can store them and pick them really easily when needed. I used many embellishments from the collection : ephemeras, stickers, chipboard… I also played with the big words foam stickers. 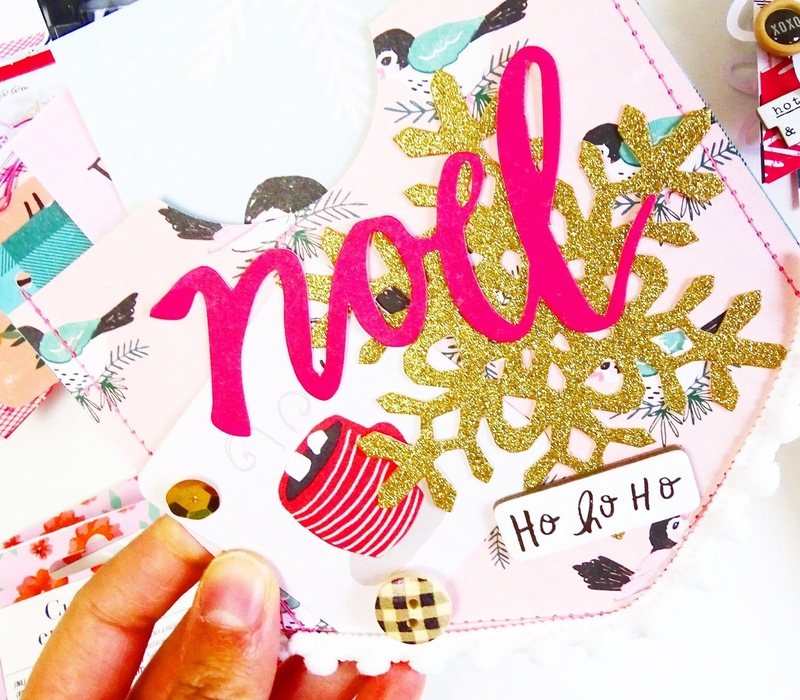 Hi friends, today I'm showing you a Christmas set up in one of my traveler's notebook. I've started to use my Christmas collection, so I've also prepared one of my traveler's notebook. 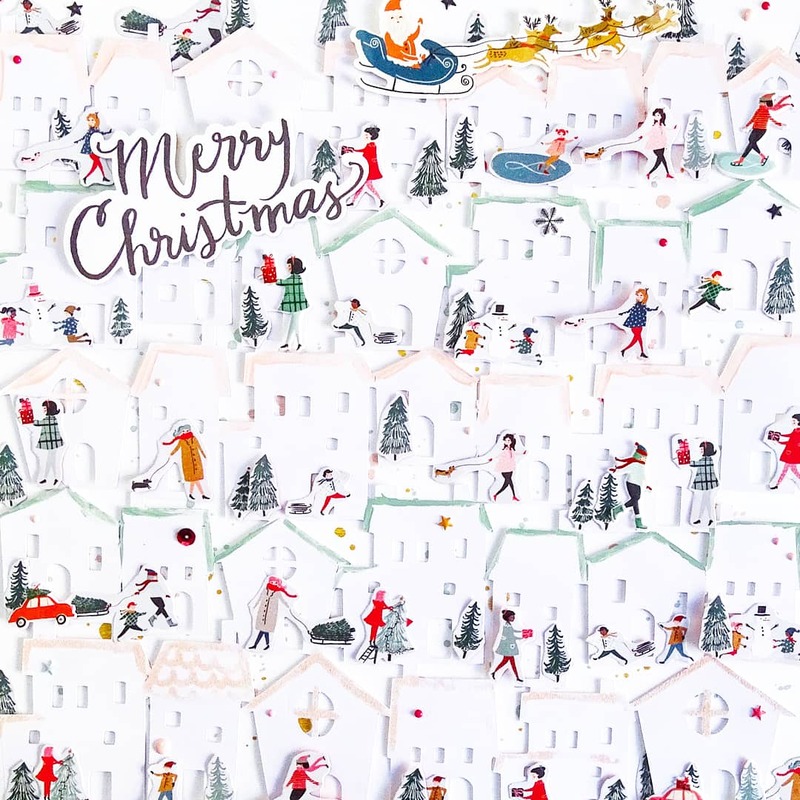 As you see, I use the Merry Days collection from Crate Paper. I chose to decorate my Echo Park Paper Vichy traveler's notebook. First, I made my insert with the new binding tool from We R Memory keepers. I placed a little shaker Inside wich brings a shiny touch to it. Then I decorated my pockets with a lots of die cuts, paper clips and a flair button. I also made a tassel with my tassel loom fro We R Memory Keepers. 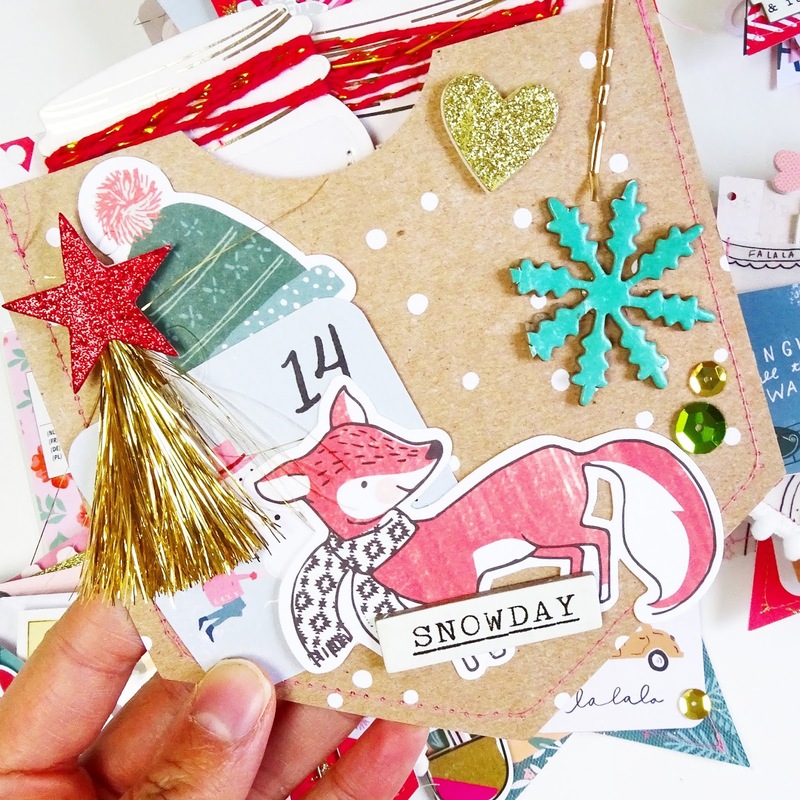 Hi friends, today I'm sharing with you my second project for an advent calendar. 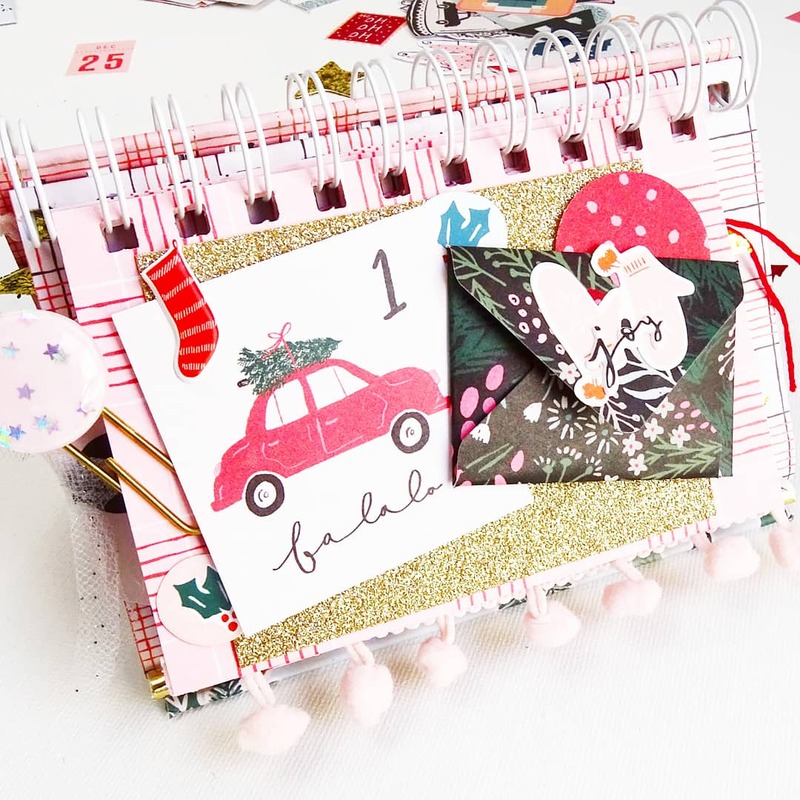 For this second advent calendar, I chose to use my cinch ! As you see, it the same as a desk calendar. On each page I placed a number and a tiny envelop to hide goodies. I decorated it with the Crate Paper Christmas collection : Merry days. The process for this calendar is on my Instagram : victoriaandherplanners. 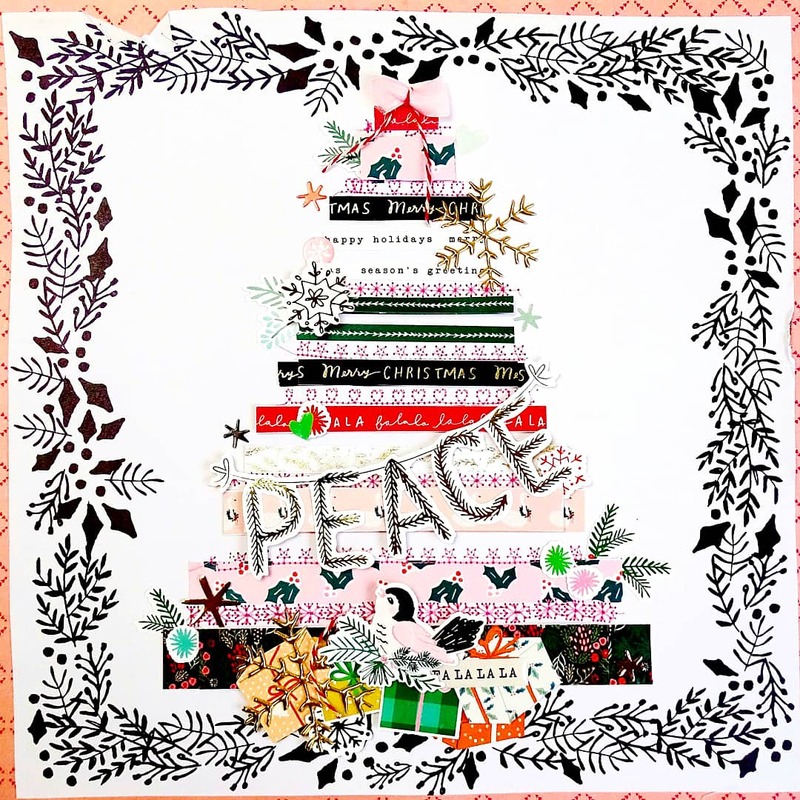 Hi my crafty friends, today, I'll share with you a new Christmas project. Yes, Christmas is coming soon, and with it the " when is it Christmas mummy? Is Santa coming tonight? Oh noooo it's so long to wait, when is he comiiiing???" So, to make everyone's wait more peaceful this time, I decided to make this Christmas Countdown. This is made with a decorated cardboard, and two rings that help you to turn your numbers. 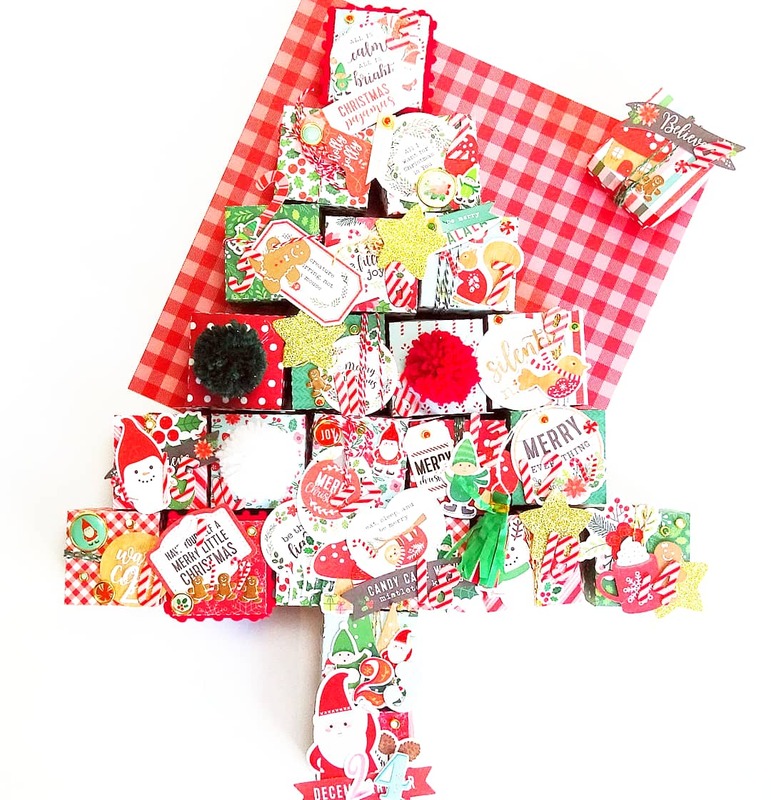 Of course, I chose the Crate Paper Christmas collection to do it : Merry Days. I love the bright colors and the traditional look of this collection. There's no doubt that the waiting will be more funny this year, Don't you think ? Hi friends ! 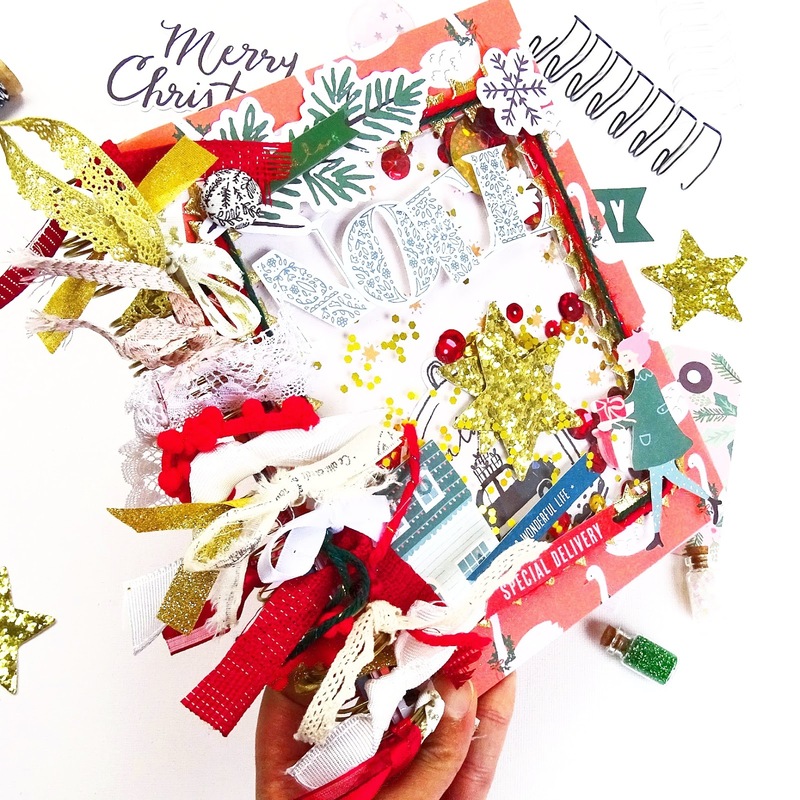 Today I'll show you a creation that will help you to organize Christmas! 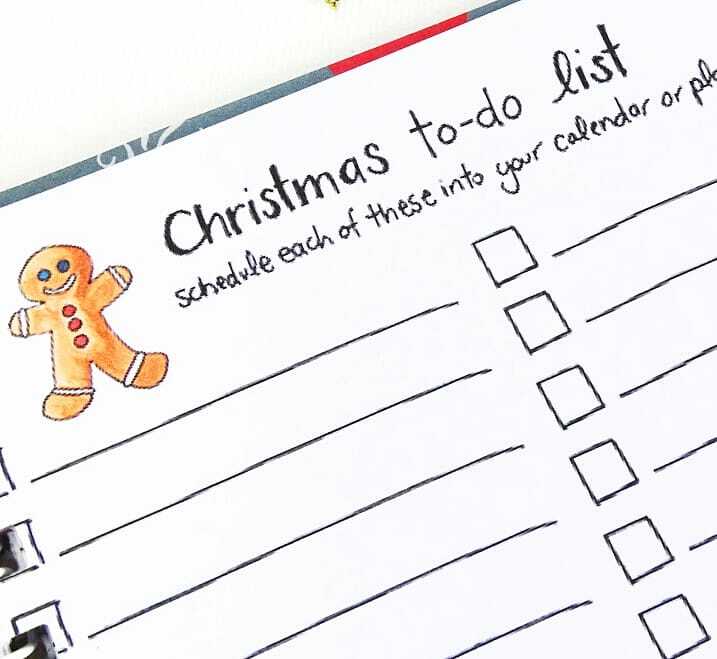 I decided to make a notebook to help me organize the best Christmas this year. I fell the other day on the Etsy Shop of Cara Vincens / TheHootingPirate. 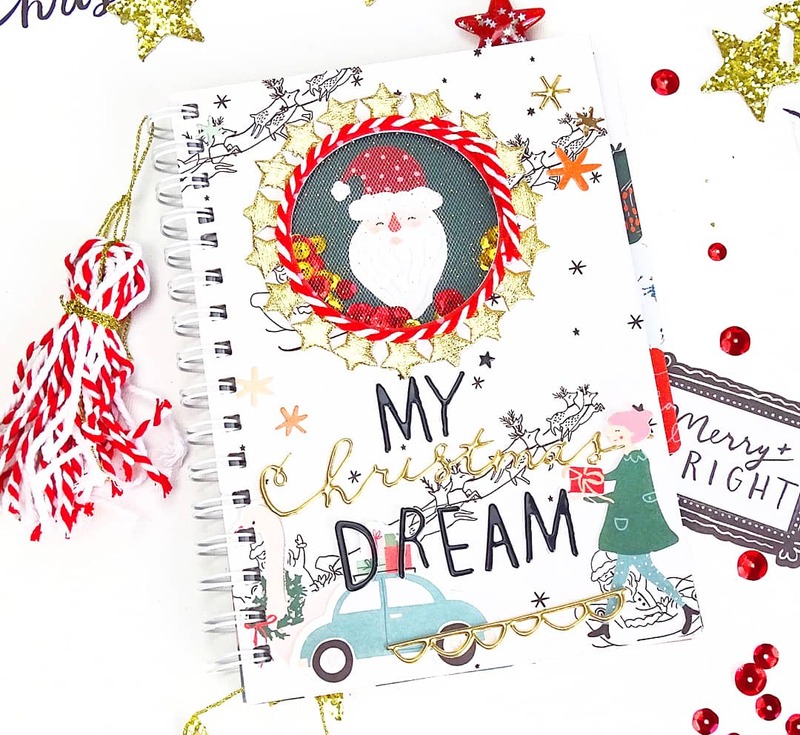 She is a Christmas lover and had created the best inserts to plan the Christmas of your dreams. 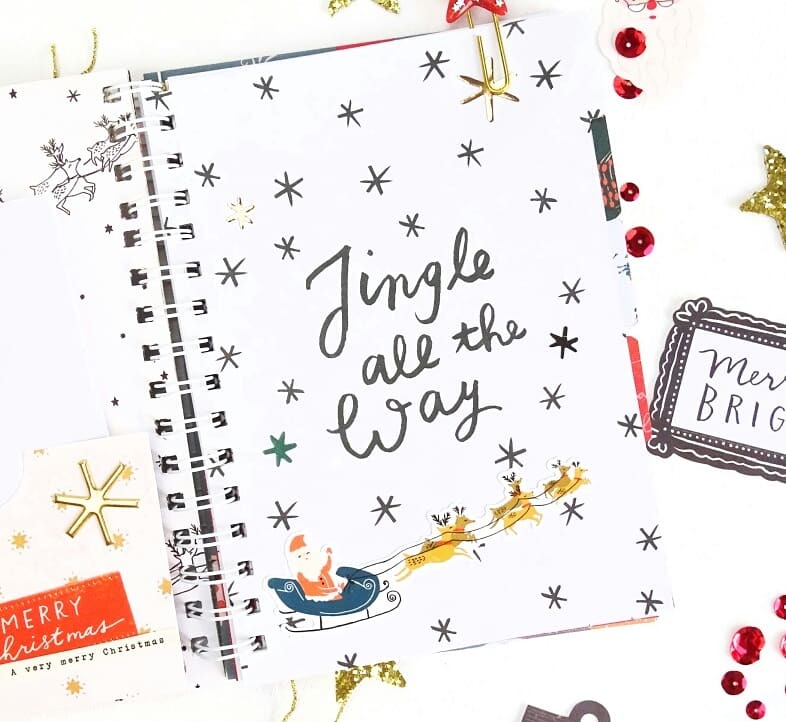 I thought these inserts would be perfect in a notebook dedicated to Christmas. This is the cover of my notebook. It took me couple of hours but I am really glad with the result!! 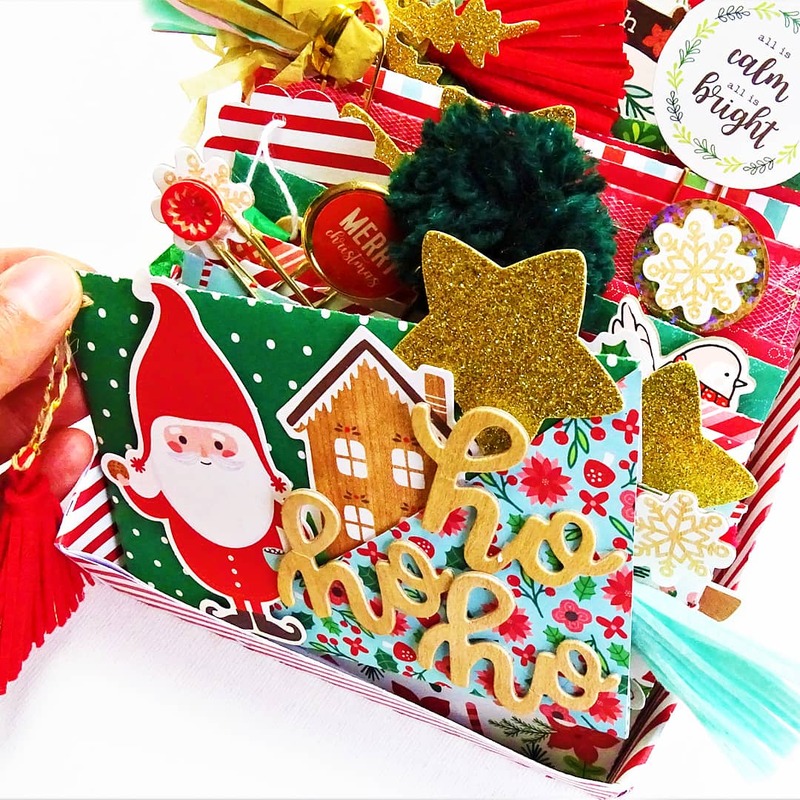 It's only decorated with Merry Days collection from Crate Paper / American Crafts. I made the notebook with my Cinch from Heidi Swapp / We R Memory Keepers. All the inserts are from Cara Vincent, found on her Etsy Shop. Now I am ready to plan the best Christmas ever! Hi friends! I am so happy to show you today the last project I've been working on! I am super excited as this project is my favorite from all I've done so far this year. When I saw a few months ago the new collection from Maggie Holmes, called flourish, I thought that this collection was so beautiful, and that it would be perfect for fall. 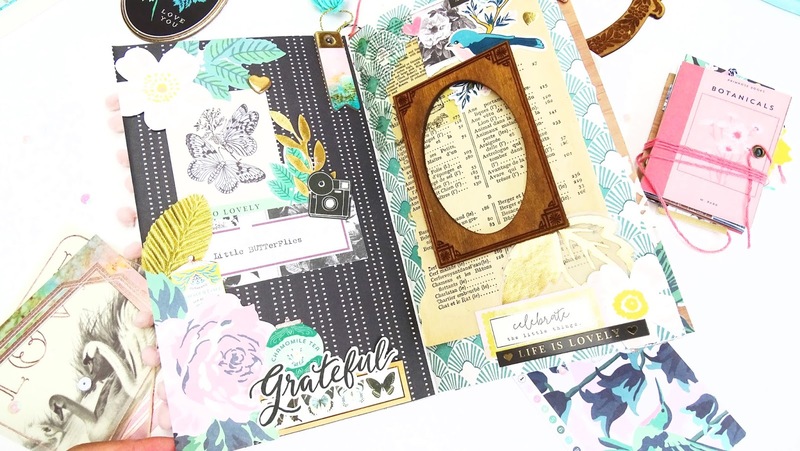 This collection is all about flowers, nature, and it has a vintage touch that I love so much. So, I decided to create a notebook where I can keep all my flowers, leaves and memories from fall. Let's take a look inside!!! So, what you can see here is the acetate paper from the collection, that I turned into a cover. To decorate it, I place a page from an old book, decorated itself with flowers and chipboard. I also made this pompom with my pompom maker from We R Memory Keepers. This is the first page Inside my notebook. I created a pocket to store my memories. I also fussy cutted those tickets and put them inside. 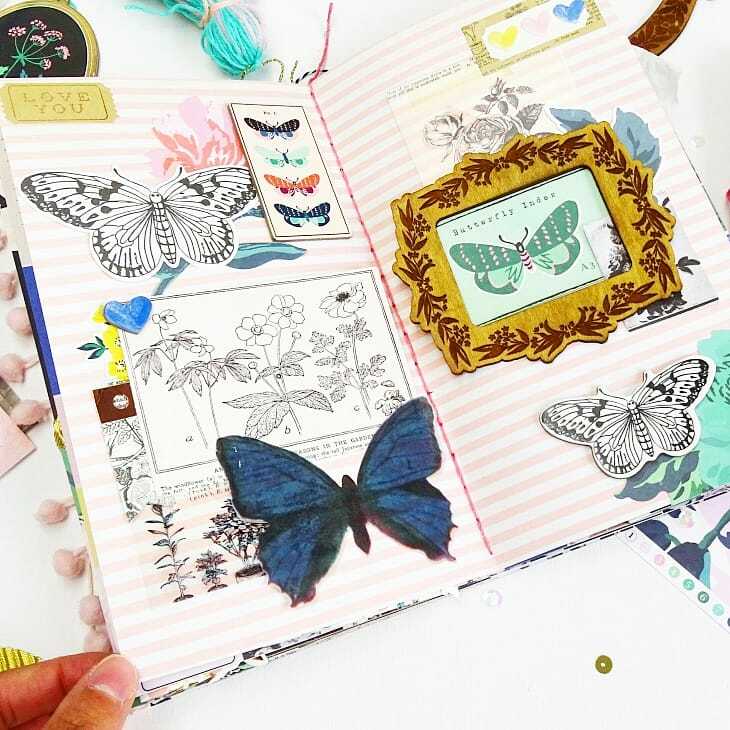 I decided to make this page as if it was a butterflies répertoire. I used the die cuts and a beautiful wooden frame. Inside this page I place a mini notebook so I can store more memories. I love every page of my notebook ! I will be a real pleasure to complete it through fall!